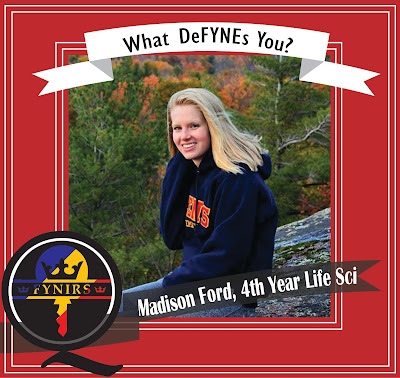 This week’s influential member of the FYNIRS community is Madison Ford, who was an Orientation Coordinator (OC) for the Arts and Science Orientation Week in 2015! Madison’s involvement with ASUS highlights one of the many possible ways that FYNIRS can get involved within the Queen’s community. How have you gotten involved in the Queen’s community? My most meaningful involvement in the Queen's community was being an Orientation Coordinator in my 2nd/3rd year. What was the name of your frosh group? What is one thing that makes you proud to be a FYNIR? I am proud that as a FYNIR I did not let my distance from campus hinder my involvement in the Queen's community. What was your most memorable moment from FYNIRS Orientation Week? I think my most memorable moment would be getting ready for the football game with my frosh group. This was one of the first times at Queen's I remember feeling the infectious spirit of our university. Painting our faces tricolour and covering each other in tricolour hand prints was a moment I really felt the pride of Queen's and like a member of my new community. How has FYNIRS helped you throughout your time here at Queen’s? When I first arrived at Queen's I was nervous about finding my niche in this new environment without being in residence and I'm happy to say FYNIRs was able to calm this fear the day our orientation week started. Having the opportunity to connect with such a large community of other students that were experiencing or had experienced the same circumstances was incredibly comforting. What's one thing about FYNIRS you'd like other people to know? I would like other people to know that being a FYNIR is not a hindrance or limitation, it is simply an equal alternative to living in residence. Although it is fantastic to have the FYNIR community to make friends within, FYNIRs are not limited to the this community to make connections. As a FYNIR there are still ample opportunities to form friendships with other first years that live in residence through the endless ways to get involved at Queen's. As a FYNIR myself, I can say that most of my closest friends lived in residence. From being a part of FROSHNAROK during FYNIRS Orientation Week in her first year to becoming an OC with Arts and Science Orientation Week in her upper years, Madison shows that though we are a small community we are FYNE. The 2017 executive team would like to thank Madison for sharing her store, and would like to wish her the best of luck with her future endeavors. 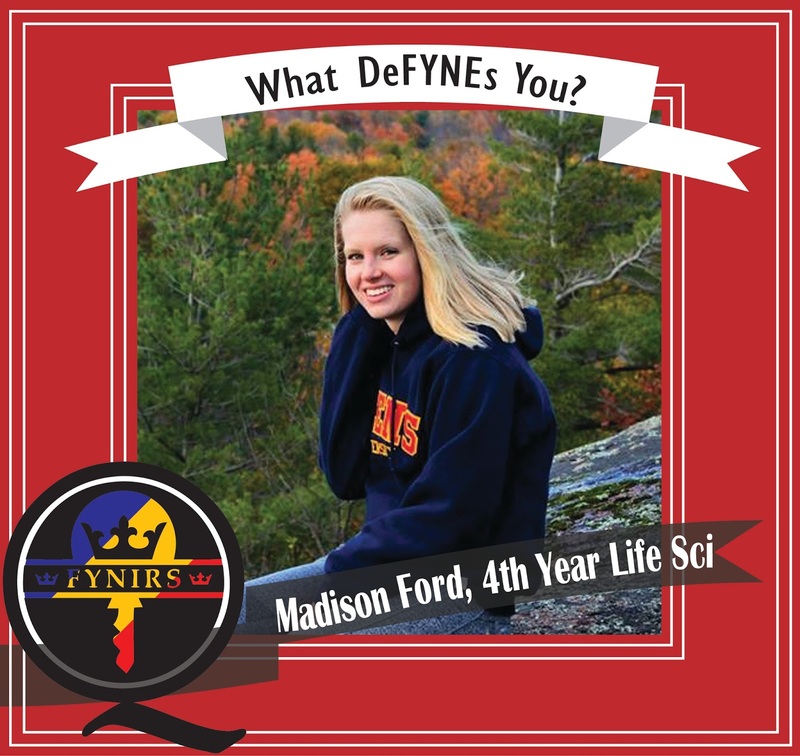 Madison’s passion and dedication to all things O-Week is inspiring and we would like to hope it will continue to encourage FYNIRS to get involved around Queen’s campus!